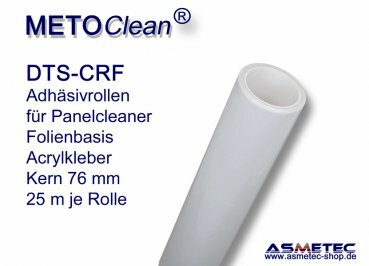 Roll width 250 mm, foilbased, 25 m per roll. 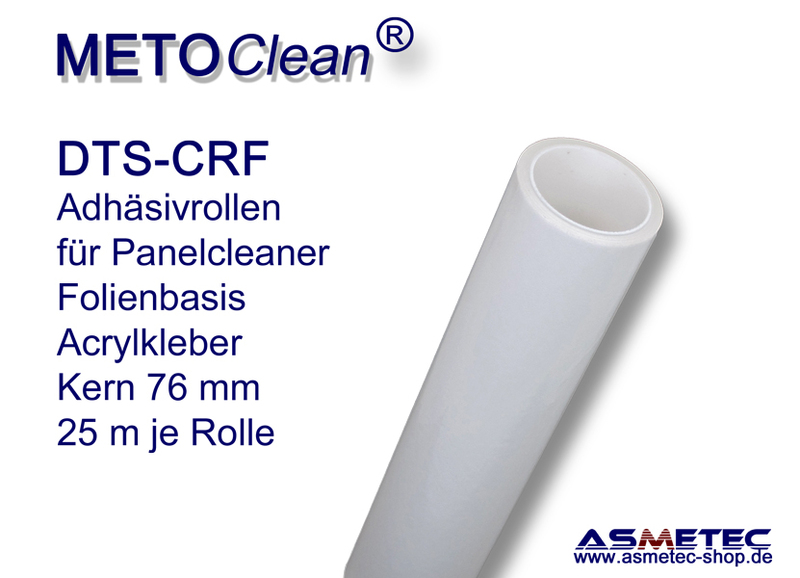 The DTS-CRF-Rolls come with a smooth PP-Core carrier roll, so the adhesive paper can be used down to the final layer. 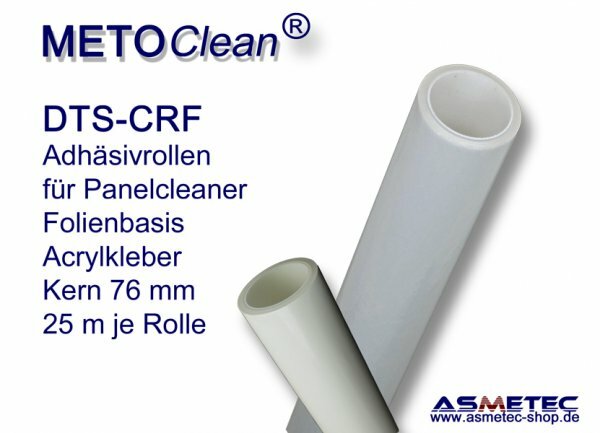 Each roll has 25 m length of acryl glue on clean room PE foil. Each roll is sealed in plastic bac to protect against humidity.